Two New Discounts at Disney World For Disney Visa Cardholders! Disney Visa® Cardmembers can enjoy not one, but two special offers this winter at the Walt Disney World®Resort! 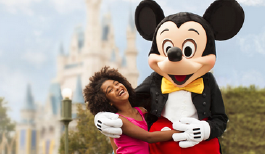 Cardmembers can Play, Stay, Dine and Save up to $600* on a 5-night/6-day Walt Disney Travel Company room, ticket and dining plan package for a family of four at select Walt Disney World Resort hotels for stays most nightsDec. 14-20, 2014 and Jan. 5-March 7, 2015 when you book now-Dec. 29, 2014.